The Healthcare Medicine Institute (HealthCMi) is a pre-approved Continuing Professional Development (CPD) provider with the New Zealand Acupuncture Standards Authority (NZASA) and a pre-approved CEU Provider with Acupuncture NZ (formerly NZRA). Upon completion of each online course, HealthCMi provides a certificate of completion valid for claiming CPD credit with the NZASA and continuing education CEUs with Acupuncture NZ (formerly New Zealand Register of Acupuncturists). Please note: this replaces the older "acupuncture" category. A minimum of 12 CPDs must be in the Chinese Medicine category and 2 CPDs must be in the Ethics category. All HealthCMi courses with Safety or Ethics in the course title are valid for Ethics CPDs. Check individual course listings to determine the categories relevant to each course. The NZASA stipulations concerning categories brings their CPD process into alignment with the AACMA of Australia. 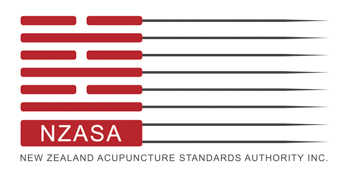 The NZ Acupuncture Standards Authority maintains an official list of Registered Acupuncturists that are eligible to be ACC Treatment Providers. The ACC (Accident Compensation Corporation) provides no-fault personal injury coverage for all NZ residents and visitors. Through NZASA membership, providers may receive payment for healthcare services from the ACC. The NZASA sets ethical and practice standards that are implemented in the registration and certification program. To learn more, download the “Standards, Ethics and Safe Practice” document from the NZASA website. This document covers important topics including ethics, safe practices, and standards of practice. This includes personal conduct protocols, acupuncture points requiring special attention, acupuncture needle management, and electroacupuncture parameters. Note that NZASA membership requires that acupuncturists use only sterile single use disposable needles.